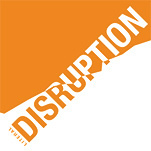 Frankly, I hate using the so overused “disruption” word. Every wannabe startup feels compelled to call itself “disruptive”, contrary to the facts, and every venture capitalist subconsciously (consciously? ), assumes that every startup calling itself a “disruptor” is naive and not investment worthy. Oddly, disruptors are precisely what VCs want, but perhaps the investor wants to discover a disruptor, rather than be introduced to one. A startup that disrupts old, legacy markets can enjoy a significantly higher market cap than its non-disruptive counterparts. Exiting Unicorn through acquisition is our end game, so maximizing exit value as a market disruptor is important. So, Unicorn was ground-up engineered to disrupt (subject, of course, to “engineering revisions” by our future investors). It was a founding tenet that drove the essence of corporate structure, market focus, IP development and product design, not a cliche shoved into some business plan as a marketing or mission statement afterthought. Following our competitive industry patent landscape mapping, we then analyzed the business opportunity and market entry using the traditional market research methods – searching for data that would support tweaks to the business model or technologies that would enhance, perhaps even secure our disruptive capabilities. At $31 billion, the US pet food industry is huge. The first commercially manufactured pet foods were introduced to the market in the 1960s – Pet Food meets the definition of a legacy industry that is ripe for disruption. Then, there’s the adjacent $1 billion emerging pet technology segment – too small, fragmented and new to disrupt. Finally, there’s the $16 billion pet care industry – comprised primarily of veterinarians (services), and animal pharmaceuticals (prescription and OTC products). This market is large, but fragmented and not easily disrupted. Immediately after Unicorn started up in early 2015, a gaggle of pet technology gadgets were rushed into the marketplace – (with juvenile patent positioning, if any). I use “gadget” somewhat disparagingly – these are quite trivial products that deliver little useful function, and rely on attracting non-discretionary consumer dollars – they are little more than curious pet toys chasing a market. Pet technology did not meet our definition of a market ripe for disruption. Yet, lacking Unicorn’s tech/market analysis, our “hindsight/insight”, the “first to market” pet tech gadgets nevertheless attracted a lot of venture money (think “Juicero”), flew into production and, in my opinion, remain destined to mediocrity. Without belaboring the details of our macro / micro demographic, socioeconomic, competitive, product/service analyses and observation of generational trends, all of which was bounced off of the venerable framework of Maslow’s hierarchy of needs – suffice to say that Unicorn’s offerings were specifically engineered to meet every relevant factor of startup value-creation that centered on industry disruption. To monetize all this, we needed to establish a unique business model that would differentiate our offerings while, at the same time, create a wedge into a behemoth market that could quickly capture a solid customer base, retain it, and scale it. Innovators innovate. Notwithstanding the disruptive nature of our strategically developed intellectual property position, we first created one, then two, and currently four significant components of the business model based on artificial intelligence, specifically designed to disrupt our legacy market. Then, it was back to the beginning – testing whether the model could create maximum exit value. We determined that we can disrupt, and charted what that would look like in market cap terms. With three years of patient determination, we also observed what not to do – a benefit of watching companies run to the market too early with poor business models or over-hyped high tech gadgets. Concurrently, we saw our prediction of converging industry trajectories validated. We’re nearly there. Next step … execute against the plan, and that kicks off with a capital raise. * Products and technology disclosed in this article are patented and/or patent pending.